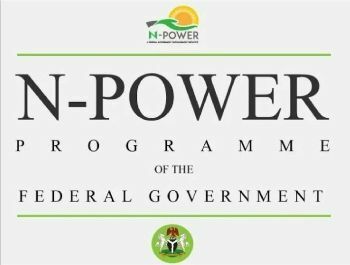 It is no longer news that N-power will soon open their portal to take in new applicants for the year 2019. As a result of that, we have decided to compile this information to help the prospective applicants make the necessary corrections on their credentials in order to avoid mistakes that will hinder them from benefiting from the programme. N-power recruitment has lots of process and stages and the process are free and fair. The application process involves careful data collection and screening of applicants credentials to enable N-power pick the right candidates. It is very important that applicants see it fit to follow instruction carefully when the portal is open for registration. The different between those who were successfully selected and become beneficiaries at the first batch 2016 and second batch 2017 and those who were not successfully selected was because the unsuccessful applicants along the way either refuse to follow the application instruction correctly or refuse to meet up with physical verification exercise. Though not everybody will be selected but avoiding making mistakes will give you better chance to be selected. Npower is now a hot cake because it gives unemployed Nigerian graduates the opportunity to work and gain experience while they Government pay them monthly stipends. However, your chance to be selected as beneficiary depends on how authentic your credentials are. Your date of birth, full-name must correspond with all your other records, be it your bank account record, National Identification, Voters card record, BVN and your certificates. All these are information Npower take seriously during recruitment process. So, before you apply make sure the information contained in your credentials rhymed with other of your records. Make sure you follow up with all stages required during the recruitment processes from the application stage to selection stage and physical verification exercise stage. Finally, make sure you follow N-power on all their social media channels. Click here to checkout all N-power social media handles, emails, phone numbers to follow, email or call and stay updated with latest N-power news in order not to miss out on anything.